Home » News » Self Advocacy in action! Congratulations to Richard who gave an after dinner speech at the recent Autism Hampshire golf day hosted by former Southampton football manager Lawrie McMenemy . You can read more about it here in the Daily Echo article. 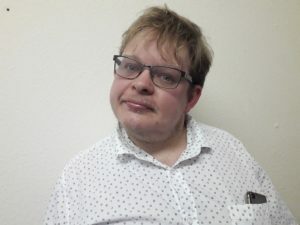 Richard says that coming to the self advocacy groups along with his other social activities has helped him get the confidence to make this speech. Well done Richard!